Microsoft launched a website today designed to give users a detailed look at how secure their browser is. 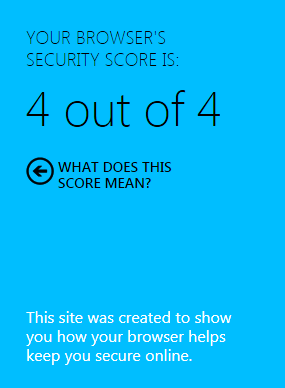 The site, called Your Browser Matters, automatically detects the visitor's browser and returns a browser security score on a scale of four points. Microsoft's new site is primarily intended to encourage users of older versions of Internet Explorer to upgrade. 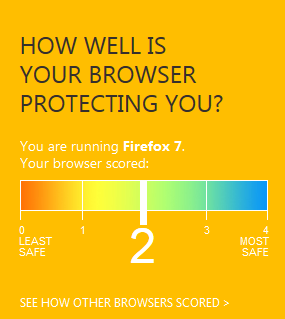 The bane of the existence of Web developers everywhere, Internet Explorer 6, only gets one point. To its credit, Microsoft has gone to great lengths to ensure that the next version of its browser is both secure and compliant with Web standards.